National builders, like D.R. Horton, are able to zero in on this value-seeking market segment in the county because of the lower price of land in Charlotte, presenters in the Market Trends event said. The county’s lower impact fees, they add, likewise help these big homebuilders to continue offering affordable options to these buyers who typically look for homes priced in the $300s and under. This builders’ tack is well-manifested in the recent announcement of the Express Homes unit of D.R. Horton that the second phase of its Waterford Estates development in Punta Gorda would soon be underway. The first phase of this project a short distance west of Punta Gorda Airport is now nearly all sold out with sales of some 30 homes notched since the start of 2017. Four single family home designs are offered at Waterford, with floor areas of between 1,600 and 2,320 square feet featuring three to four bedrooms and priced from the upper $100s up to the low $200s. Choice Waterford homes for sale sit on an oversized lots with lake views in their backyards. 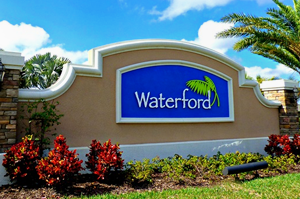 A gated community, Waterford draws market strength not only from its affordably priced homes. This community also boasts of several amenities including an in-ground heated swimming pool with a spacious paver deck and covered pavilion. This community is conveniently located between U.S. 41 and Interstate 75, only minutes from the revitalized downtown Punta Gorda and its establishments for shopping, dining, and medical care. Also nearby are waterfront parks, boat ramps and fishing piers, which have had a recent makeover as well. The same magnets to a wider slice of prospective home buyers could be expected to be parlayed in a bigger residential development in south of Punta Gorda. A developer, Naples-based Lely Development Corp. purchased in May 563 acres in Tuckers Grade right between Interstate 75 and U.S. 41. Lely plans to build 2,400 homes on this site which it bought for $2.6 million. Early indications show that this development would likely be a mix of single family homes, duplexes, and townhouses, with 50 acres for businesses, such as hotels or restaurants. 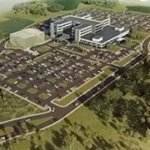 Hopes that Charlotte would soon emerge as what analysts have described as the next Gulf Coast real estate mecca also hinges on new initiatives to revive the Murdock Village project sidelined by the Great Recession. As per reports in August, Fort Myers-based Private Equity Group has made a second half-a-million-dollar deposit to Charlotte County to buy 452 acres in the Village, bringing to $1 million the amount it has deposited for the purchase. 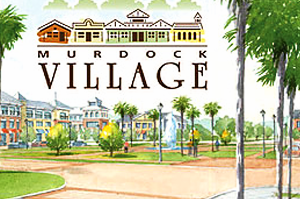 Private Equity’s plan for Murdock Village includes construction of 2,400 residential units consisting of single-family detached houses and multifamily homes such as townhouses, condos, villas and rental apartments. Set as a mixed-use development, Murdock Village is likewise targeted for 200,000 square feet of retail/commercial space and a 150-room hotel, which promise to add more vigor to the local real estate scene.